In order to work on a construction site in Australia you need to take white card training and get a white card. This is general training for those who will be involved in construction work. Construction work includes not just the building of new buildings, but also alterations, conversions, renovations, repair, maintenance, demolition or dismantling of structures. Who Needs To Take White Card Training? White card training courses need to be taken by anyone who works or plans to work for a construction company, those who want to become an owner/builder and those who plan on going for blue card training. Once training is completed and you pass the course you will get a temporary white card that you need to carry with you until your permanent white card comes in the mail. Since 2011 your permanent white card needs to carry your picture. Even if you already have a white card you may be asked to retake white card training if your employer deems it necessary. White card training is sometimes called green card training because the card itself used to be green. How to identify possible safety hazard on construction sites. Learn how to establish safety procedures and monitor workers to help ensure those procedures are being followed. 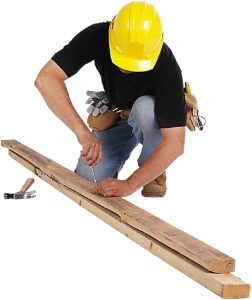 With the number of accidents and their serious consequences that have been occurring of late in the construction industry it is essential that those who work in this industry either as an employee, a manager of a construction crew or the owner of a construction company ensure that everyone is properly trained for the job they do. This training begins with the basic white card training. By ensuring that every member on a construction site has their white card and carries it with them at all times you can help to prevent accidents and reduce the penalties your business may face should an accident occur.